This ODF22309X Beko built-in oven is the perfect way to style your kitchen and cook with ease. This double fan assisted oven features an LED display, fully programmable timer and more. 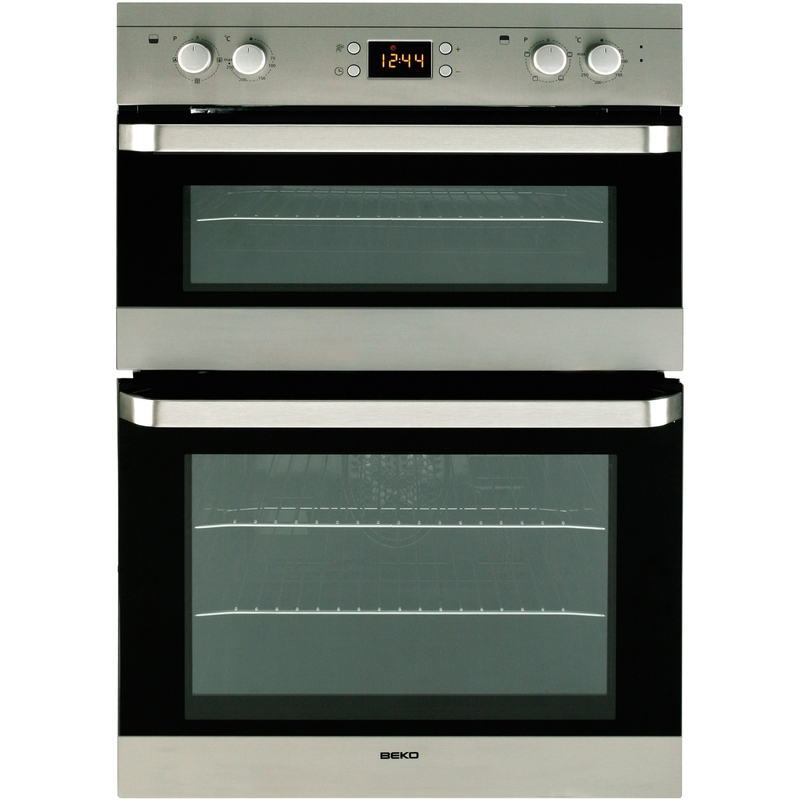 The main fan assisted oven offers a 100 litre capacity – perfect for large dinner parties and family roasts. With a fan oven you can be sure you’re getting an even temperature around the entire cavity. This means you can use all shelves without worrying about your potatoes cooking faster than your meat. Fan technology also offers shorter cook times, ensures less meat shrinkage and enables batch baking. With most recipes there is also no need to pre-heat the oven, and there’ll be no intermingling flavours so you can cook multiple dishes at once. Using two ovens makes cooking multiple courses and meals much easier – perfect if you have any fussy eaters in your family. The Beko ODF22309X benefits from a static top oven with grill for making healthy dishes and tasty snacks. The main oven cavity features catalytic liners designed to reduce the amount of manual oven cleaning needed. These special liners hold grease and dirt, which is burnt or oxidised when the oven reaches high temperatures. This makes that dreaded task of cleaning your oven much quicker and easier. 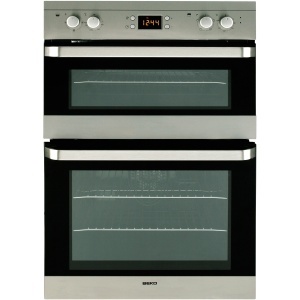 This Beko built-in double oven has an AA energy rating offering 20% more energy efficiency than a standard A rated oven. Beko have worked closely with the Energy Saving Trust to develop EcoSmart appliances. Superb energy ratings on their built-in ovens mean you can cook and bake all day long without worrying about your electricity bill.